The Objection: The Scriptures tell us that women must pray & prophesy covered. This should not be understood as an artificial covering on top of her hair since 1 Corinthians 11:15 states that a womans covering is her long hair. The fact that men should have short hair and women have long hair was Paul’s point. Is head covering a custom or a principle? Should it be practiced today? If we’re not sure, what should we do? In this 5 minute clip, R.C. Sproul gives us a hermeneutics lesson while using head coverings as his example. If you enjoyed this clip consider listening to the full sermon here ($2 cost). The audio in this video is copyrighted by Ligonier Ministries. It was posted with their permission. 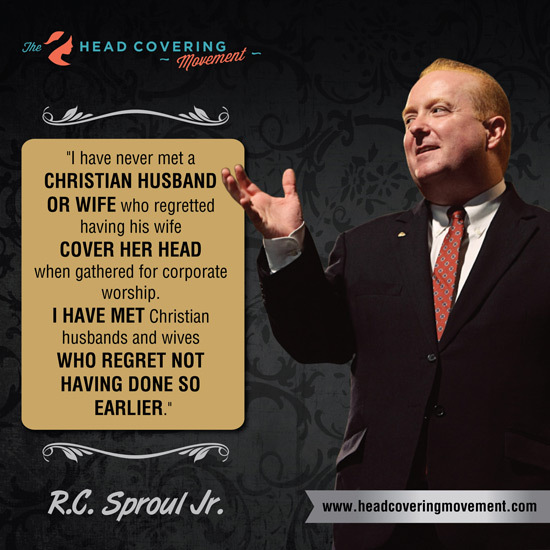 The Scriptures tell us that head coverings are required when praying or prophesying. However, an important question we should be asking ourselves is praying and prophesying where? One side understands this command as pertaining to both public and private life. They would say since we are to “pray without ceasing” (1 Thess 5:17) women should be covered almost all the time. The second understanding is that head coverings are only commanded for when the local church gathers together in worship. This view gets its understanding from the context the passage is found in.